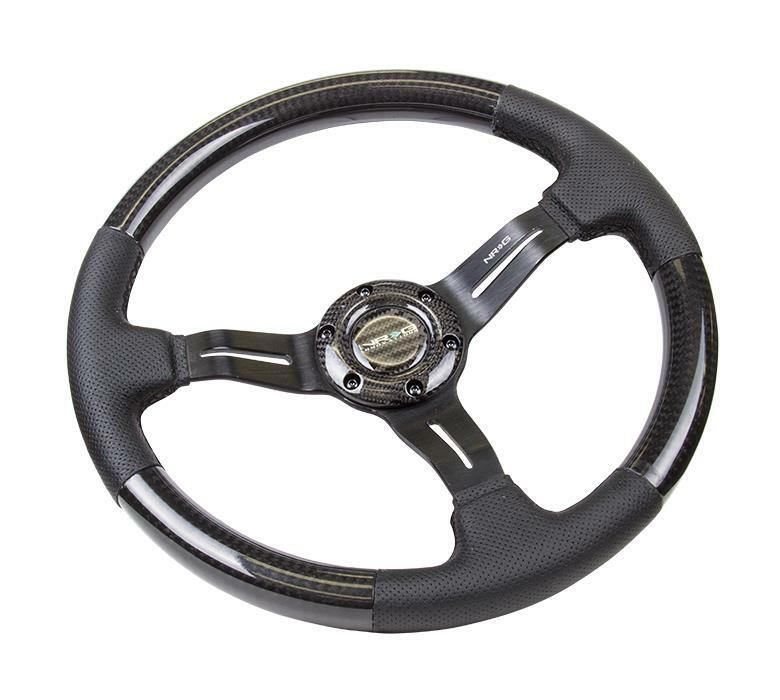 ST-009CF/MB - NRG Steering Wheel - Carbon Fiber Series - Pann Auto Performance - San Diego largest aftermarket automotive performance parts - What do you drive? The Carbon Fiber Series are made from high quality materials with sophisticated designs to let you feel the smooth luxurious or in matte finish. There are many subcategories within carbon fiber series. NRG Innovations focus on the quality finishes and durability. Whether it is for a daily or track use, the carbon series will take you on a thrill with it’s looks and functions.